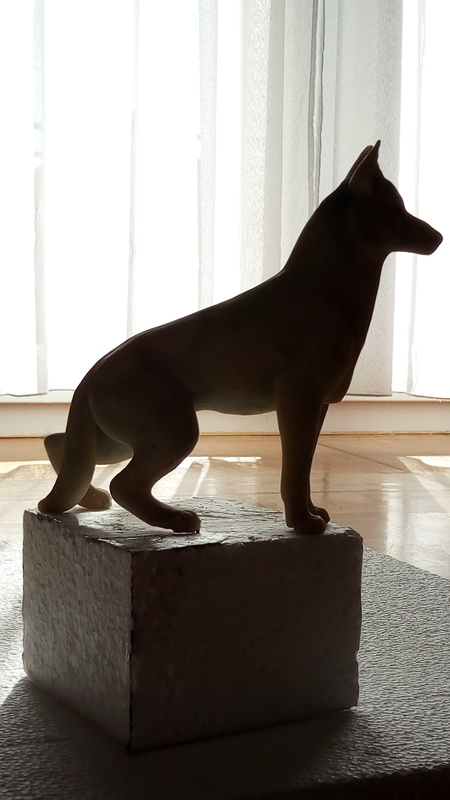 And Now back home form Eurofurence :DI'm very happy with the Artsow result and just like last year we did a bit of live demonstration of how the Companion figures work and balance. Some even had the chance to try it and experience it for themselves. 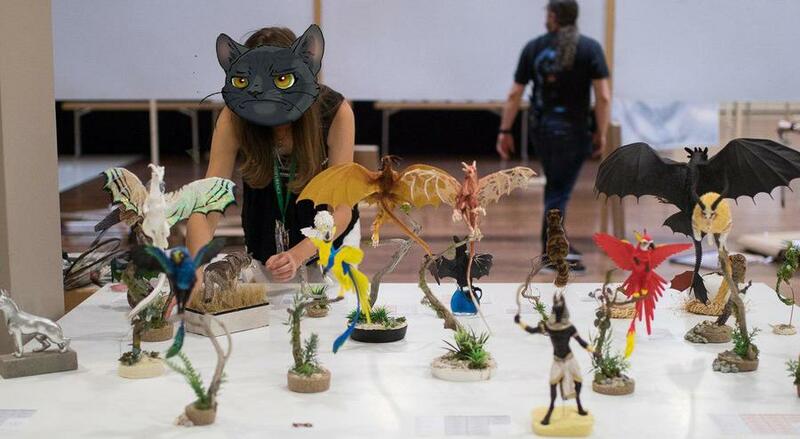 Eldnsay and Akulatraxas Helped me with unpacking and setup of the art piecess at which point the full rotations were recorded for the hompage Gallery :)I'm very happy with the Artsow result and just like last year we did a bit of live demonstration of how the Companion figures work and balance. Some even had the chance to try it and experience it for themselves. 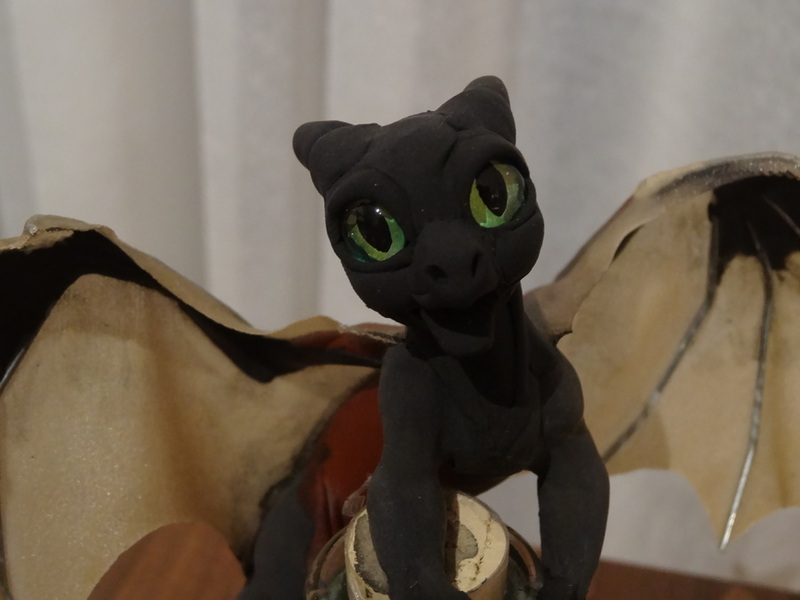 Just a bit of a teaser of the next project ;) Dragons are taking over my life! 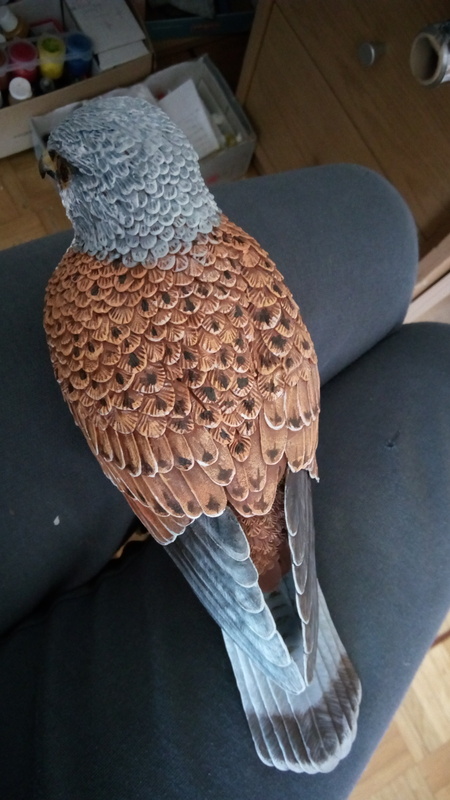 And so we some to an end of the journey, the Kestrel has been colored (twice- I used wrong pattern the first time around ^^')I'm very happy with how the coloring came out in the end This has been one frustrating bird to make. Probably more than most things I ever made XD Now the bird is finaly getting the desired look. 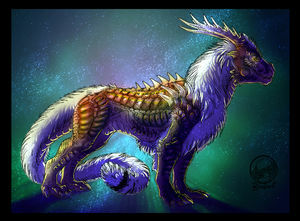 A lot of patiance later I covered the thing with many many feathers :D The wing feathers were fun to do. 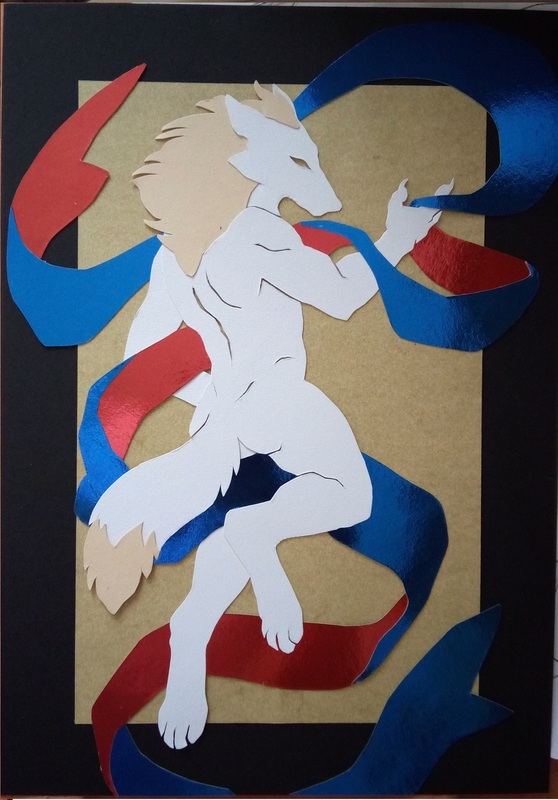 I think I screwed it up a bit with the layering XD And so I start to add featheres carefuly over the body startign from the bottom. For the first time I have attempted to make a bird companion. An actual bird form real life that is :P It was a really big challenge because the balancing kept giving me so much problems here. I have come to a point where I thought I would give it up and accept defeat. 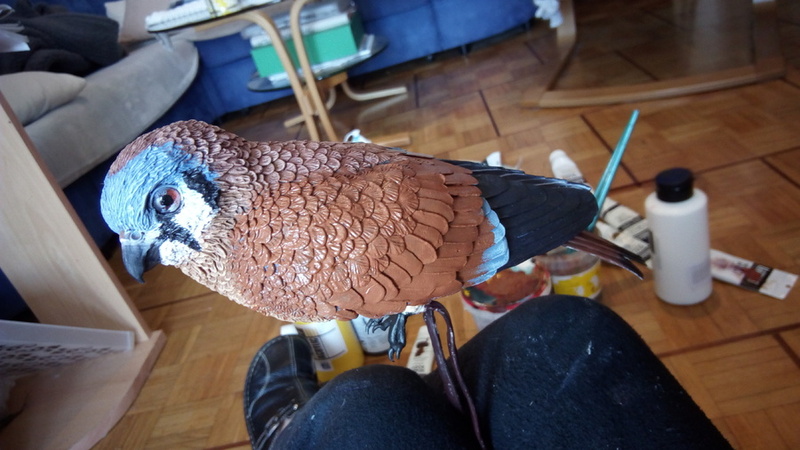 Eventually I have figured it out and though it's not as ideal as I wanted it to be, it at least works :) I already painted most of it when it was brought to my attention that I was supposed to be making a common Kestrel, not the american one XDThis one might or might not be available at EF art-show, depending on if the potential buyer decides to take it or not :) All in all, great learning experience. Well, here is something I might as well share as my first propper Blog post. 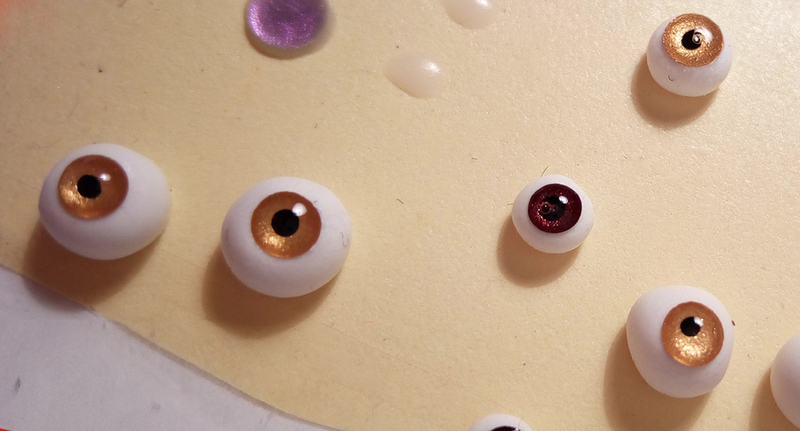 The eyes are one of the most important parts of the figure and I was fascinated by how to make them at that small size and still have then look okay, and not a blured mess. Looks like I finally figured it out and managed to make them. Some as small as 3 mm aross, and 5 the biggest.